Renovation of a Derelict House in Brittany, France: Renovation project - You can't park there! Renovation project - You can't park there! The other day I had a conversation with a visitor to the next door property, it was a bit of a struggle but mainly consisted of 'we can not park in front of our house, we need to park across the road', I explained that we couldn't as our next door neighbour was parked on our side of the road and we had to park behind them. 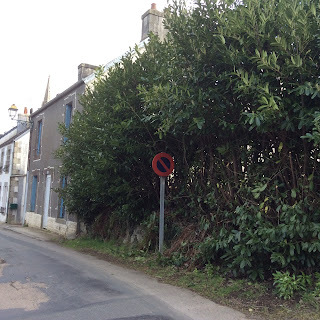 The following day we had a visit from a Mairie employee telling us officially we could not park here and needed to use the little car park, that is just a few yards along the road. OK obviously we had been reported! It didn't take long before we had another visit from the Mairie, I explained that we no longer parked outside the house and that this was a visitor. He was very friendly and was happy to speak slowly and even told me not to worry about my slow French, it was very good. 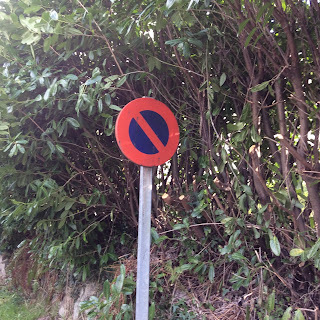 I asked why we could not park and why there were no signs to say such, at this point he took me to a very large overgrown hedge and scrambled inside to show me a sign! This hedge was very overgrown when we bought the property and nobody told us there were any parking restrictions. 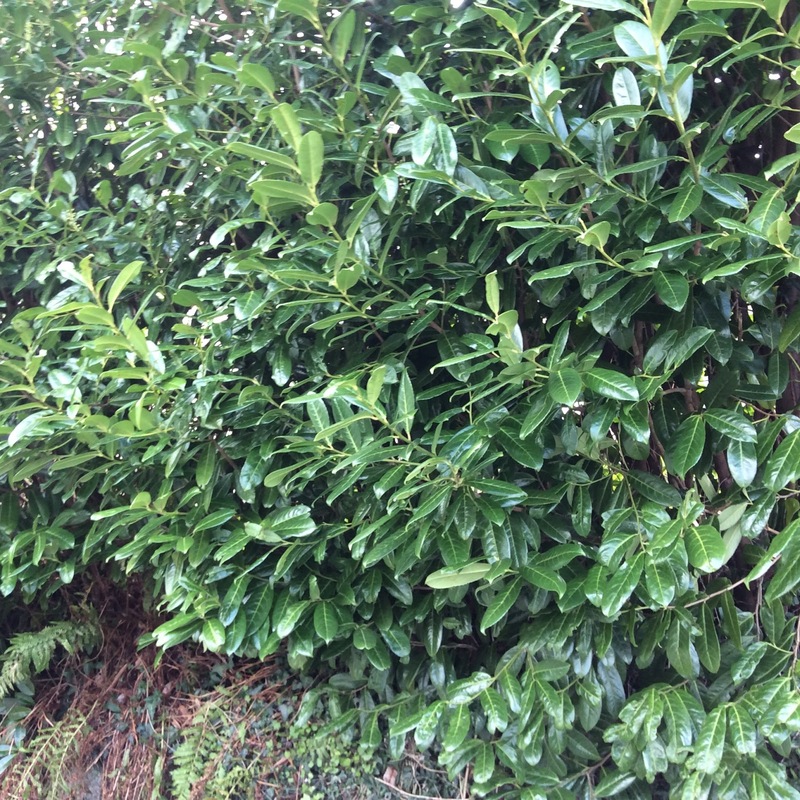 He then apologised that the hedge was over grown and said that it would be cut back soon so the sign could be seen. It is official this bit of road is no parking. The guy from the Mairie confirmed there was no problem for unloading if we have a car load but not for permanent parking, now we know why there is a little car park at the end of our road, this is not a problem, but we are a bit peeved that this was never pointed out to us when we bought the property. 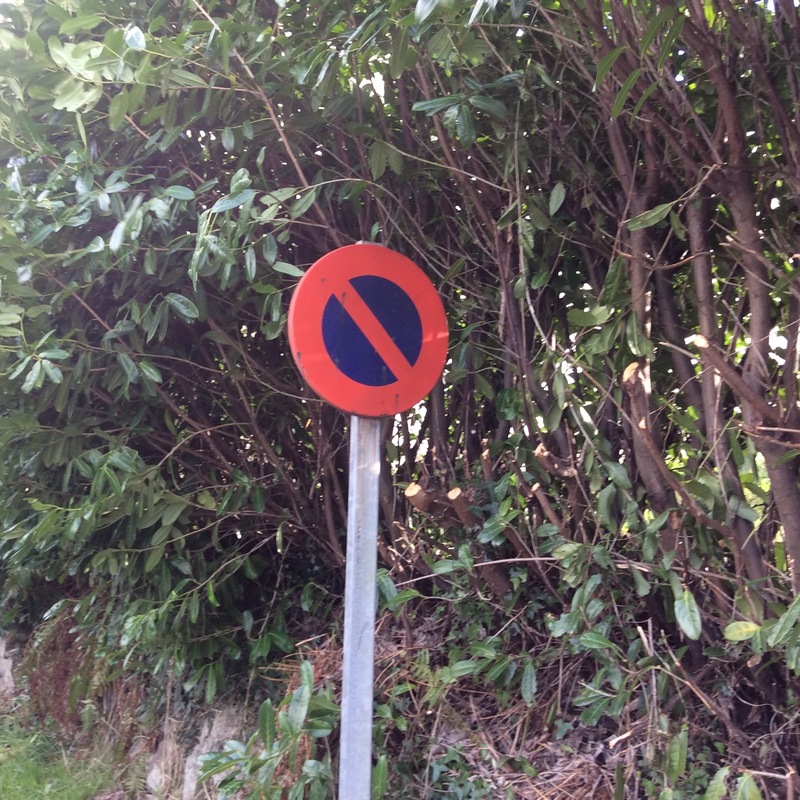 The following day somebody had been out and cut a big chunk of the hedge away so that the sign could be seen. But now we are used to parking in the car park, we realise this is much better, it is never full as there are only a couple of houses here and it means we never have a car parked outside our living room window. Sometimes problems can work out for the best. When buying a property always check for parking restrictions. We had a similar problem when we bought our house whereby there were no pavements and you could park outside but then they built a housing estate out the back of ours and put pavements in with lay-by's it is actually much better now as it means we can park at the back rather than get our mirrors bashed off by tractors - I wonder why they have the restriction outside your house is it because of tractors? maybe time will tell. This made laugh a bit - I used to live next door to the village pub and got quite annoyed if patrons blocked our front door (right on the street). Well one night WE got parking tickets outside our own house so I complained to the police and asked how come we as residents got ticketed and pub visitors didn't. The only response was "we caught you"
I would not be impressed either if they were happy for a sign to be permanently hidden, but if they would at least makes signs obvious you are more than happy to do the right thing hey. Interesting comment how things are done over there though.